They say that someone’s home is their castle. This is true, but over the years our “castles” have grown closer to each other. This is why many people are more frequently choosing privacy fences. 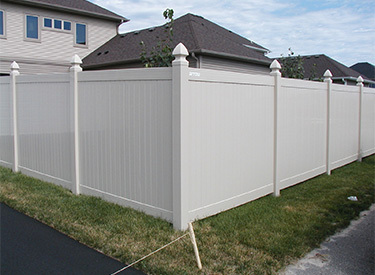 Arrow Fence Company builds and installs all types of privacy fences for residents of Minnesota. People want privacy fences for a number of reasons, and they all boil down to the same thing. The privacy fences that we install are offered in a number of different materials and options. So if you are looking for a privacy fence to complete your backyard or another space, contact the fence experts today at Arrow Fence Company. Not only do people want to feel that they have some privacy, but their neighbors want to as well. People buy houses because they want their own plot of land, someplace that they can call their own, and for that feeling to last, people must feel that they can do what they want on their land. This is where privacy fences become useful. Even in the friendly state of Minnesota, it can happen that neighbors bicker at each other for various reasons and privacy fences help limit this type of exchange. They’re a way to keep everyone happy. Listed below are some of the types of privacy fences that we install at Arrow Fence Company. Also, cedar wood privacy fences are great because they can be customizable in how the top of the fence looks. You have your choice in a number of different tops, including post caps and top shaping, spindle or lattice “toptions”. The warmth and natural look that comes with cedar wood privacy fences is unmatched by any other type of material used in privacy fences. Cedar is also commonly used when building fences because it naturally lasts for many years. 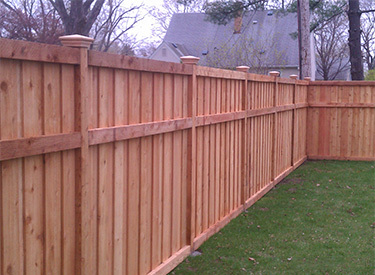 When you have a cedar wood privacy fence installed in your yard, you will be getting a one of a kind fence. Additionally, cedar privacy fences don’t just block off views, but they also do a good job of keeping people and pesky animals out of your yard. This is especially beneficial if you have an excited dog or two. 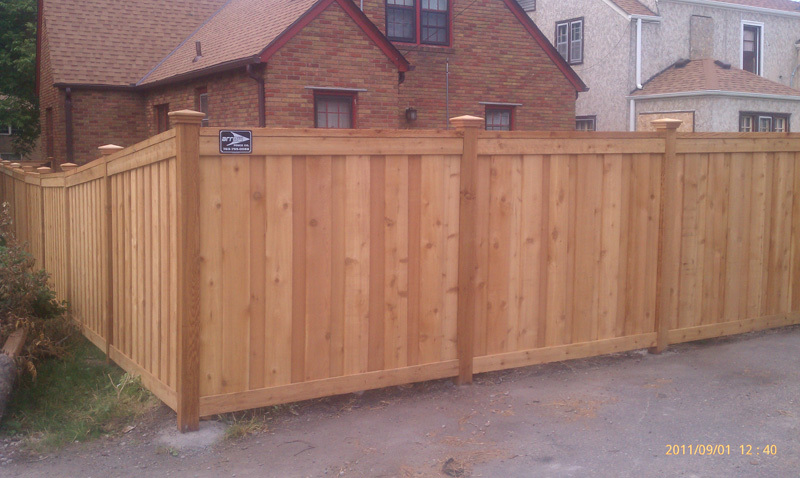 If a cedar wood privacy fence is exactly what you’ve been looking for, you’ve come to the right place. Arrow Fence Company will professionally install your fence, with fence posts buried in concrete to ensure sturdiness. 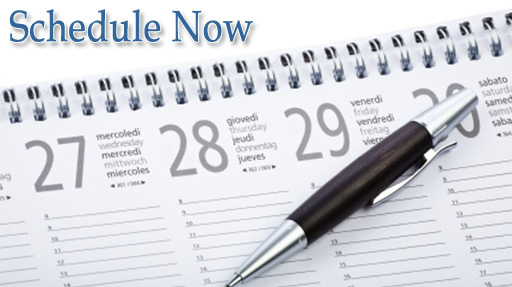 We will make sure that it’s done right so that you can enjoy your yard for years to come. At Arrow Fence Company, we also install many types of vinyl privacy fences for homeowners in Minnesota. Vinyl is also a common choice as it is maintenance free. This is where people need to decide which one matters most to them. Do they want the natural look of cedar, or the maintenance free ease of vinyl? It’s a tough decision. Of course, vinyl never rots, and it will look great for a long time. Vinyl privacy fences also come with numerous options in the way of fence and post tops, allowing you to have the fence look that is right for your property. If you think that a privacy fence is just what you need for your Minnesota property, contact the fence experts today at Arrow Fence Company. 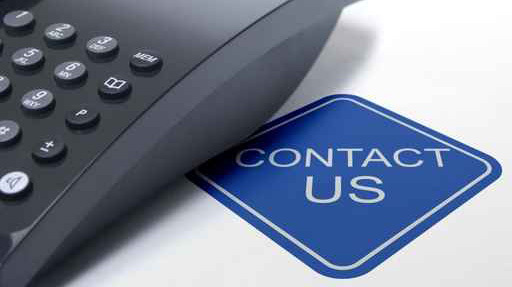 Call 763-755-0088 for professional fence assistance. We will make sure that you are happy with your privacy fence for many years.